UPTOWN — When Charles Holder first moved under the Lawrence Avenue viaduct almost two years ago, he had only a blanket to shield him from the elements. Over the years, Holder and the other folks living under the viaducts have turned to tents and tarps to protect them from inclement weather, but weather isn't the only threat to the tent city residents under the viaduct. "We have bricks falling, fallen debris ... You name it. We have all that stuff," said Holder, 48. "Praise God, no one ever gets hurts or anything. We try to keep [the viaduct] maintained [as] best we can until the city comes by and does what they're going to do." The Lawrence Avenue viaduct and Wilson Avenue viaduct are both on the list of "most traveled structurally deficient bridges in Illinois," according to the American Road and Transportation Builders Association. About 8 percent, or 2,243 bridges in the state are structurally deficient, meaning one or more of the bridge's key elements,"such as the deck, superstructure or substructure, is considered to be in 'poor' or worse condition," according to the association. "The primary issue is with the superstructure of those two bridges," said Eileen Houlihan, spokeswoman for the association. "They are both in either poor or serious condition." The structural evaluation found the bridges and their underclearance to be "basically intolerable" and the bridges' railings did not meet the association's standards, the report said. Both bridges were built in 1933 and are crossed about 100,000 times per day by motorists, according to the report. "This is the busiest bridge on the North Side," Holder said from under the Lawrence Avenue structure. Those living under it have little choice but to adjust, he said, adding "It ain't nothing new. We adapt to it." 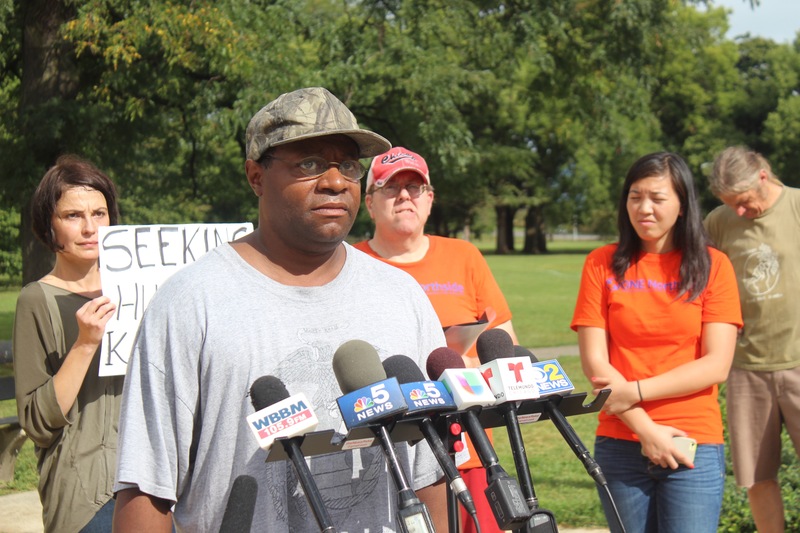 Holder grew up on the North Side and was homeless for five years. Before moving under the viaduct, Foster Beach, Montrose Beach, Lawrence Avenue, Montrose Avenue and a dog park all served as home for him. 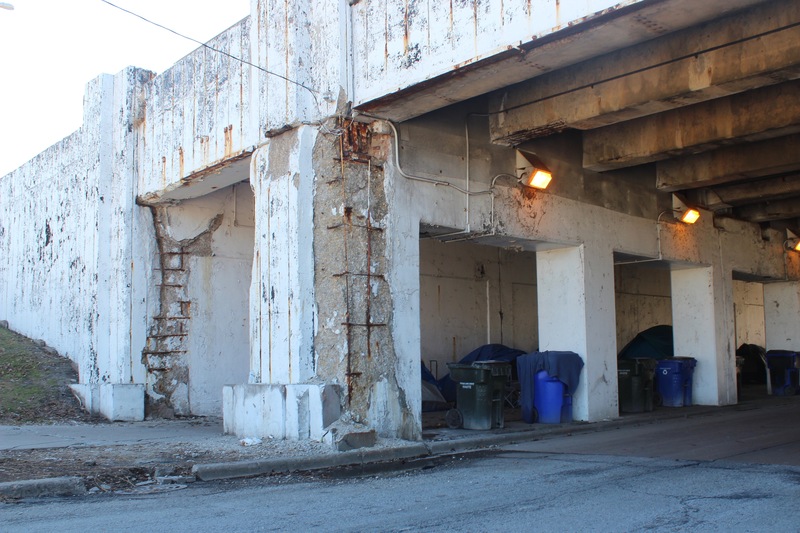 He spent almost two years under the Lawrence Avenue viaduct before temporarily moving to the single-room-occupancy Northmere Hotel last December as part of a city pilot program to permanently house 75 people living under the Uptown viaducts. The program's deadline was extended, and the hunt for permanent housing continues, leaving program participants such as Holder in SROs, wondering whether they ever will break the cycle of homelessness. Tuesday, Holder returned to the mostly vacant viaduct as the residents enjoyed an unseasonably warm day. 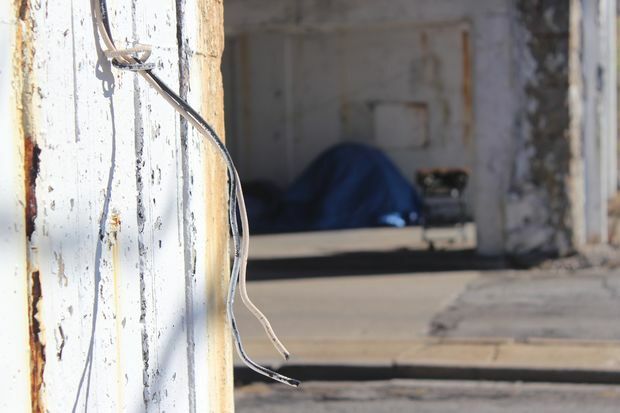 Moving from the sunshine-filled east side of the viaduct through the darkness and back into the sunshine on the west side, Holder recalled the dangers of living under the viaduct, still referring to himself as homeless, though temporarily housed. In the early morning hours, drivers would pass through, he said, presumably on their way to work, laying on the car horn. "People would yell 'Wake the f---- up' and burn rubber out of here," Holder said. Along the side of the viaduct is a large slab of concrete that fell from above months ago, narrowly missing people below, he said. "It shook three tents" when it fell, he said. On the east side of the viaduct, three orange construction cones abandoned by the city years ago, lay scattered along the street. "The bridges used to flood every rainy season," he said and viaduct residents would use the cones to direct traffic through the deepest waters when rainwater pooled. Under the viaduct, water drips from Lake Shore Drive onto the tents and the streets as exposed wires hang from lights above the tents, Holder pointed out. "We don't even know if these wires are live," he said. Underneath tumbling concrete lay mesh nets, protecting the pothole-ridden streets. "Those nets don't do anything. The concrete falls right through it," he said. "We need to get out of here before this kills us. And we need the city's help to give us somewhere to go ... But what do we got? We ain't got nowhere to go. We really don't have no choice." Well, Holder does. He's expecting keys to his permanent home by the end of the week.